America’s First Hydronic (Forced Hot Water) HeatingAPPLIANCE! Conventional Appearance, with Unconventional Performance! 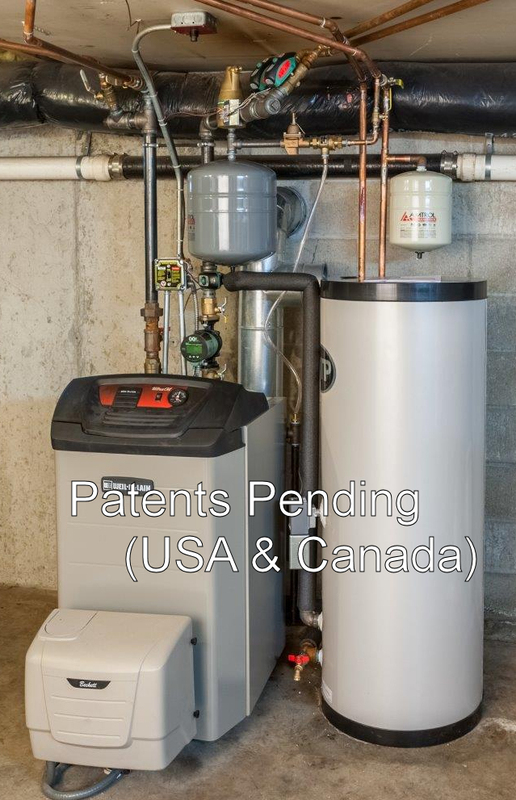 Boilers On Demand LLC revolutionizes Hydronic (Forced Hot Water) Heating Installations by replacing skilled-technician, built-on-site, piece-by-piece systems with an integrated, performance-optimized APPLIANCE! Merely position our fully integrated, free-standing, application-specific Appliance and connect to your piping and wiring. Typically a day-cycle install with dramatic material, labor cost and space reductions with guaranteed, superlative performance. Contemporary installers & methods give no consideration to hydronic distribution and radiation efficiencies. All that superfluous “pretty piping and wiring” actually increases the energy load on a heating system, reducing its performance while taking money out of the consumer’s pocket throughout its operational life ….. knowingly or not! Fully integrating advanced Taco® Delta-T ECM Hydronics, Weil-McLain® Cast-Iron “High-Mass” Boilers with our proprietary convective steel piping integration methods provide SIMPLE, DURABLE, EFFICIENT FHW HEATING – PERIOD! NOTE:Total Heating System Efficiency is the AGGREGATE of Boiler AFUE, Distribution AND Radiation Efficiencies! No guarantee, but our heavy cast-iron/steel/brass/bronze system construction suggests an economic life of 30+ years — twice that or more of any “low-mass” or “on-demand” heating system. In fact our multiple, monitored “beta site” installations have now accrued well over twenty system-years of flawless operation, i.e. no system-related service calls! SUGGESTION: Check any boiler manufacturer’s water condition warranted demands ….. VERY CAREFULLY! Compare them with Weil-McLain’s UO Series Boiler Warranty and our All Malleable-Cast-Steel Constructed Appliance. No “Magnetite Alleviation” or “Return Water Tempering” requirements with the heavyweight Weil-McLain UO cast-iron boiler – Built to last! Our Appliance is compatible and interchangeably fired by #2 Fuel Oil, Natural Gas (NG) or Liquid Propane (LP). To change the fuel, change the burner – not the system! DISCLOSURE: Taco Comfort Solutions® provides us with direct engineering technical application support in developing the Delta-T ECM Hydronic Distribution market. A Hydronic Heating Package, tailored to your application(s), is available directly to both Consumers and Trade Personnel alike. Check our Pricing Schedule herein. Future Dealer Licensing Inquiries are also welcomed. JUST PUBLISHED: Our Article“Introducing a True Delta-T ECM Hydronic Heating Appliance“ in ACHR News December 10, 2018! New in The Heating Blog: BIOHEAT® – “What shade of green” energy? An overview of Bioheat® and its implications. A new Power Point Presentation “OPTIMIZING HYDRONIC (FHW) DISTRIBUTION – Physics 101” available for “Presentation Only“. Call for details. Our new BoilersOnDemand Sales Folder is available. We are now also on Google Business! ANNOUNCEMENT: USPTO Notice of Patent Publication – Now available for general access and viewing! Just updated: Our “Appliance Bulletin”, reflecting current claims and Patent Submission detail. Announcing our Multi-Boiler (Oil) Systems, built on our standard High-Mass Weil-McLain UO Series Boiler Modules with Taco OOe Series Delta-T ECM Circulator Boiler & Distribution Loops. Perfect for upscale residential, light commercial and high risk applications! Check out our Products, Services and FAQ then Contact Us for more details. We are Taco Engineering acknowledged experts at providing Packaged DELTA-T Hydronic (Forced Hot Water) Heating System solutions. Also SEARCH “The Heating Blog“ on this site for further general and specific heating information.